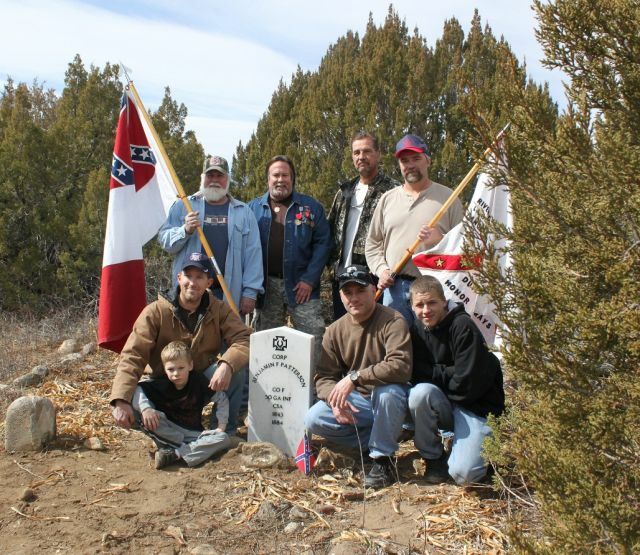 Burial site is on a small hill overlooking Pike's Peak. 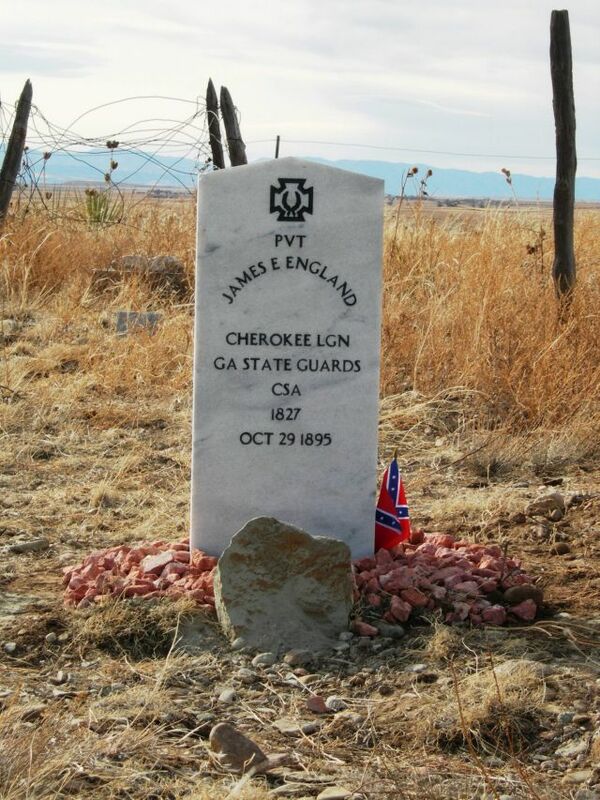 Members of the Jefferson Davis Camp 175 shown at the grave site of Private James England, Cherokee Legion, Georgia Home Guards, CSA. 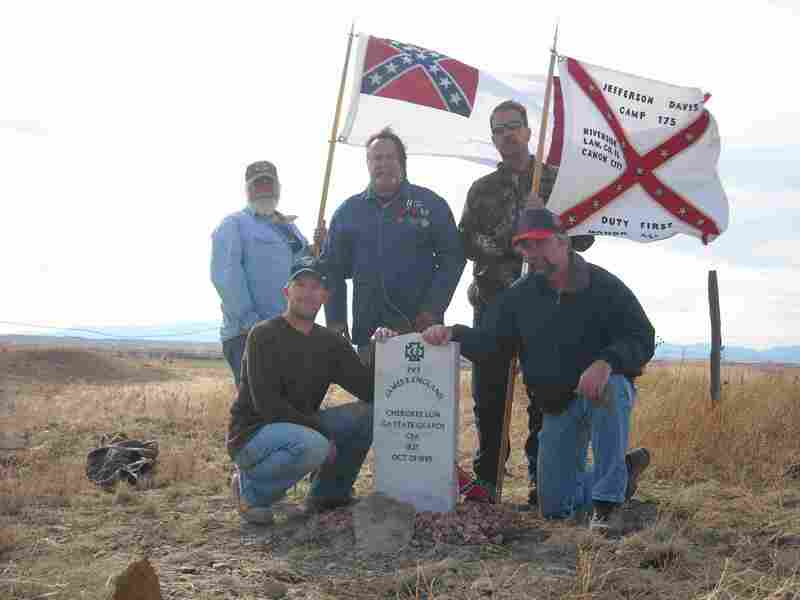 Members of the Jefferson Davis Camp 175 shown at the grave site of Corporal Benjamin F. Patterson, Company F, 50th Georgia Infantry.